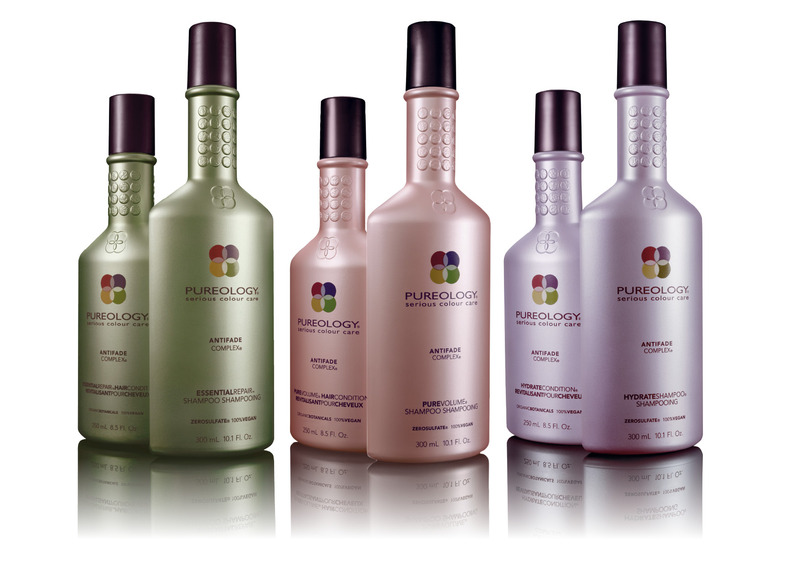 Hairitage have just taken delivery of the fabulous Pureology collection, a luxury salon hair care brand that’s been created just for professional colourists. The high-end products promise instant glamour for anyone with a colour treated hair, and the exclusive AntiFadeComplex® helps to make sure that when you’ve been beautifully coloured, you get to keep that fresh-from-the-salon vibrancy. Make like a film star and visit Hairitage – you’ll feel a little bit pampered as soon as you walk in the door, with refreshments, cute mini- cupcakes and relaxing massage chairs as well as on-trend styles, gorgeous products and of course, lovely stylists. Spray Pureology ColourStylist Fortifying Heat Spray protective primer at the nape before curling one inch sized sections of hair with a small curling iron (or something like the Babyliss Curling wand which has a conical wand for varying sizes of curls) Continue until the entire nape is set. Switch to the larger iron and continue curling until you are two inches from your parting line then stop, leaving the roots straight. Place long clips at the line of separation between curly and straight hair and give an all over mist of ColourStylist Strengthening Control zero dulling hairspray. Let hair set for 15 minutes. Emulsify a pea-sized amount of ColourStylist Cuticle Polisher with two sprays of Colour Stylist Radiance Amplifier to make a polishing serum. From the bottom up, run your fingers through the set to break up the curls and create width. Tease underneath for extra volume. After final round of spray, remove clips to finish the look. 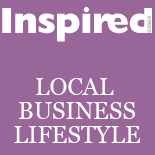 This entry was posted on March 12, 2012 by inspiredessex in Beauty & Wellbeing, Hair, Ladies Time Out, Offers and Competitions and tagged hair in chelmsford, hairdressers, hairitage, offers in chelmsford, pureology in essex.